U.S. Secretary of State Mike Pompeo said on Thursday that the United States will "use diplomacy" and work with partners to curb Iran's influence in the Middle East region. 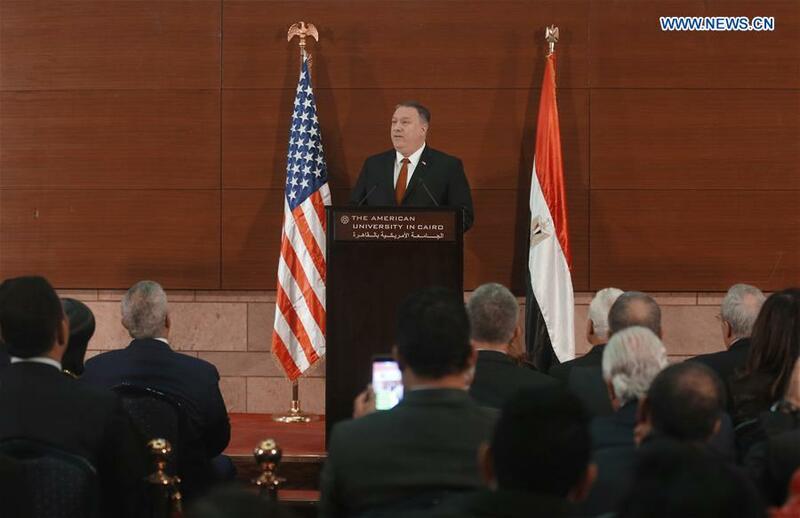 "The nations of the Middle East will never enjoy security, achieve economic stability, or advance the dreams of their peoples if Iran's regime persists on its current course," Pompeo said during a speech at the American University in Cairo. Pompeo said that the U.S. administration is confronting Iran's "campaigns of destruction and destabilization in the region and around the world," stressing that the U.S. economic sanctions against Iran are among the strongest in history, and will keep getting tougher until Iran changes its policies that threaten the United States and the international community. "The United States is working with partners in the region and beyond to stop malign activity by Iran and its proxies in Iraq, Lebanon, Syria, Yemen, and elsewhere," he added. "Feb. 11 will mark 40 years since this brutal regime came to power. The Trump administration stands with the Iranian people, as they demand new freedoms and accountability they deserve," the U.S. top diplomat added. With regards to the U.S.-led international anti-terror campaign in the region, Pompeo said that "99 percent" of the territory once held by the Islamic State (IS) extremist group is now liberated, adding that "life is returning to normal for millions of Iraqis and Syrians." He said that U.S. "allies and partners" supported the American anti-IS efforts, pointing out that France and Britain joined the strikes while Jordan and Turkey have hosted millions of Syrians fleeing violence. Pompeo continued that Saudi Arabia and other Gulf states have "generously" contributed to the stabilization efforts in the region. 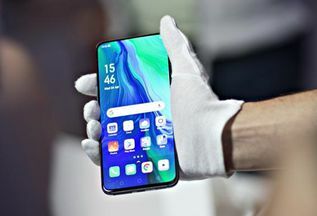 "We thank all of them for their help, and we urge them to continue," Pompeo said. The U.S. top diplomat revealed that the U.S. troops in Iraq have been reduced from 166,000 to about 5,000 at the moment. He added that the United States has provided 2.5 billion U.S. dollars in humanitarian assistance to Iraq since 2014. "Together, with our allies, nearly 30 billion dollars in grants and financing have been generated to aid Iraq's reconstruction during the Kuwait Reconstruction Conference last year," Pompeo said. As for the U.S. number one regional ally, Israel, Pompeo said that Washington will continue to ensure that Israel has the military capacity to defend itself against regional threats, particularly what he referred to as "the Iranian regime's aggressive adventurism." Trump's administration recognized Jerusalem as Israel's capital last year and moved Washington's embassy in Israel from Tel Aviv to the controversial holy city, amid regional and international rejection. Pompeo reiterated U.S. commitment to the Jerusalem recognition in favor of Israel, yet he said that Washington will work on the settlement of the Palestinian-Israeli conflict. "The Trump administration will also continue to press for real and lasting peace between Israel and the Palestinians," Pompeo said. Pompeo arrived in Cairo late Wednesday following stops in Jordan and Iraq, in a tour for the Middle East that also includes Bahrain, Qatar, United Arab Emirates, Saudi Arabia, Kuwait and Oman. Earlier on Thursday, he held talks with Egyptian President Abdel Fattah al-Sisi as both asserted the depth of the longstanding strategic partnership between the two countries.